Looking to up your fitness game and lose weight? Try walking. Seriously! 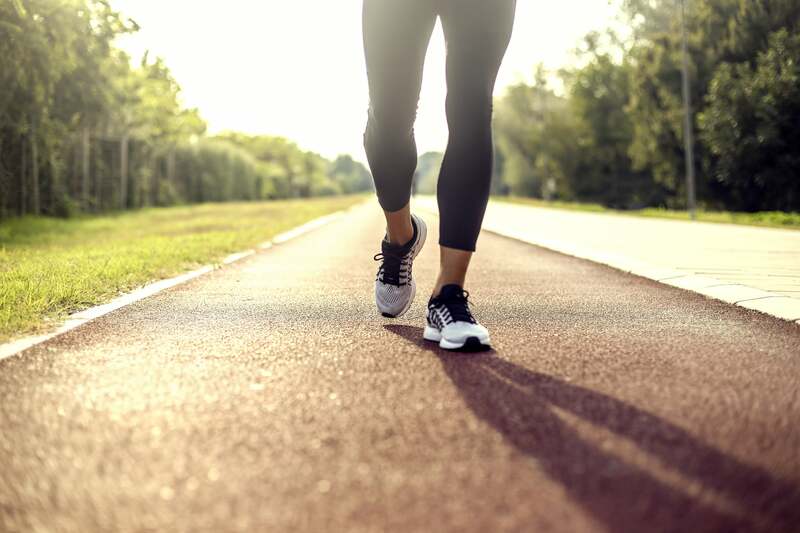 Not only is it totally free – you just need a pair of walking shoes and about 30 minutes – but it can help you increase endurance, boost heart health, and lose weight (and if you’re not losing weight, it could be because of one or more of these reasons). And while you should aim for about 10,000 steps a day to lose weight (in addition to eating in a calorie deficit and strength training), your form makes a difference to prevent injury and maximize your workout. Alexis Craig, an NASM-certified personal trainer and a coach at the live-streaming workout app Gixo (which includes a variety of walking classes), told POPSUGAR that many people actually have improper walking form. “Focus on landing on the balls of your feet with every step, pushing off the back foot,” Alexis told POPSUGAR. “This seems very weird to a lot of people because they are used to walking with a heel strike. Heel striking leads to hyperextension of the knee and can cause a chain reaction to all kinds of injuries, so really try to lift up your front knee and land on the ball of your foot as much as you can.” She also recommends to use your arms and breathe in cadence with your steps and to breathe through your nose as much as possible.